What did Elizabeth know? We love to use the actions of Elizabeth Woodville to support any argument regarding the events of 1483, assuming that she had greater knowledge than we possess and that her actions would be the same as ours in light of it. She went into sanctuary because she knew Richard was a ruthless killer….she left because she knew he was not. She betrothed her daughter to Henry Tudor because she knew her own sons were dead….she supported rebels at Stoke because she knew at least one of them was alive. What did Elizabeth really know? How I wish that we could ask her! 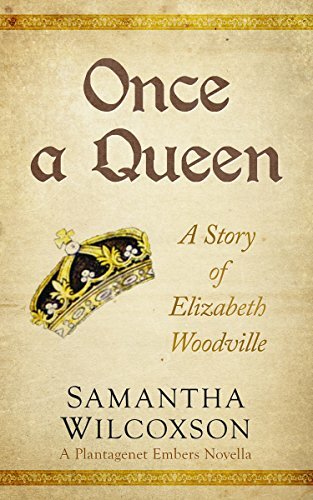 When I decided to write about Elizabeth Woodville in Once a Queen, I decided to explore her predicament through the assumption that she did not know any more than I do over 500 years later. What would it be like to make the decisions that Elizabeth had to make regarding her own life and her children’s futures without the benefit of all the answers that we like to assume she had. What mental anguish would it cause to decide who your eldest daughter should marry if you are uncertain whether or not her brother, who should be king, is even alive? Did she believe that her sons were dead? If she did, who did she believe killed them? 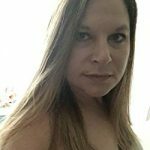 Instead of writing a story filled with anger and vengeance, I decided to explore the anxiety of the unknown. In Once a Queen, Elizabeth has no idea what is true or who she can trust. Yet, time will not stand still for her to discover the answers. The woman who so often comes across as scheming and unsympathetic is suddenly a tragic figure, struggling to secure a future for her remaining children. 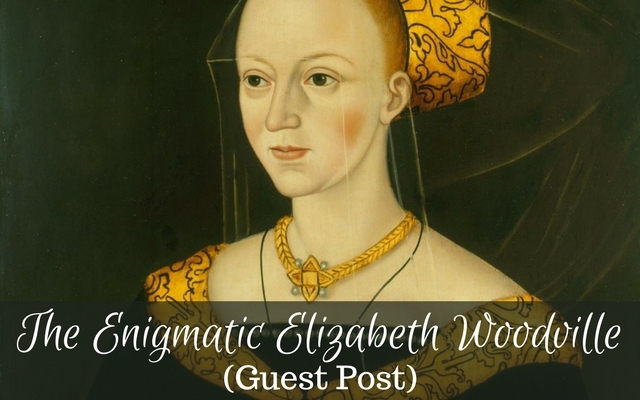 We may not be able to surmise the answers to any mysteries by analyzing the actions of Elizabeth Woodville, but we can appreciate her story and her position in history. Sharing the feelings and emotions of those living through historic times has the power to impact us more than knowing all the right answers. That being said, if anyone ever discovers the secret diary of Elizabeth Woodville, I will be among the first to read it! Samantha Wilcoxson is an American writer with British roots. When she is not reading or travelling, she enjoys spending time at the lake with her husband and three teenagers. The Plantagenet Embers series debuted with ‘Plantagenet Princess, Tudor Queen: The Story of Elizabeth of York’. It has been selected as an Editors’ Choice by the Historical Novel Society and long-listed for the 2016 HNS Indie Award. ‘Faithful Traitor: The Story of Margaret Pole’ is the second novel in the trilogy, continuing the story of the Plantagenet remnant in Tudor times. This novel has received 5-stars from Readers’ Favorite and a Discovering Diamond award. The recently released final installment in Plantagenet Embers, Queen of Martyrs, features Queen Mary I and her story of the counter-reformation in England.